Our NEW MRI SandBag Positioners are completely MRI Safe! Made from materials that is nonmetallic and non-conductive. Accordingly, these products can be appropriately labeled as MR SAFE according to ASTM International, ASTM F2503-13, Standard practice for making medical devices and other items for safety in the magnetic resonance environment. 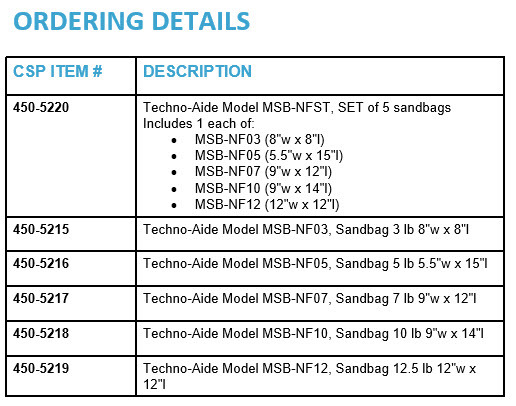 Each sandbag is filled with rounded high purity industrial quartz sand. 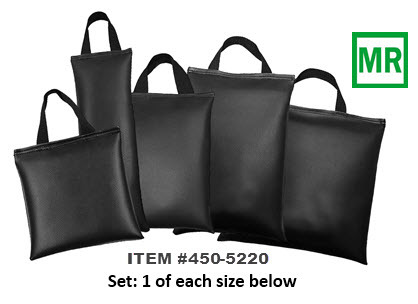 The bags are sealed within an inner poly bag and placed into a sewn vinyl fabric bag to ensure against leakage. The product is then placed within another slightly larger sewn vinyl bag as to provide a double layer against leakage. For use within the MRI environment as a patient positioning item.